When they are very young, baby elephants are extremely vulnerable to predators, and must be constantly watched over by their mothers. But when one baby elephant's mother was found inexplicably dead in the Mara North Conservancy in Kenya, he was stranded with his older brother. 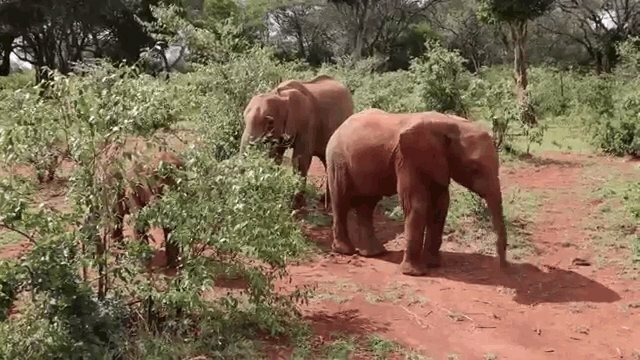 His sibling was old enough to survive, but the baby elephant was left without his mom's much-needed milk. 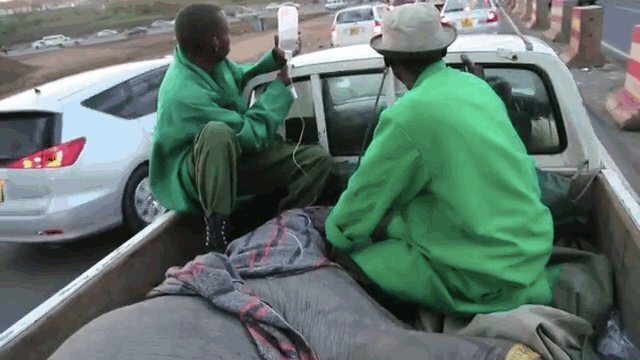 Luckily, rescuers from the David Sheldrick Wildlife Trust (DSWT) were called. 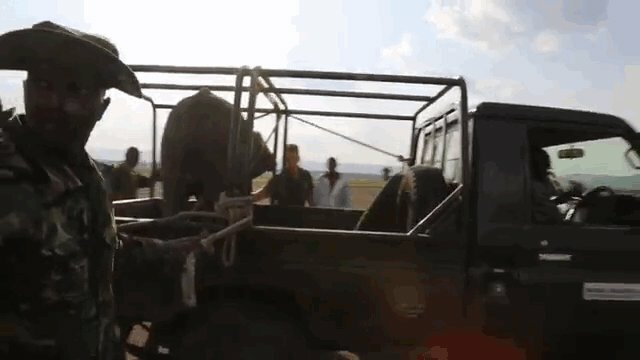 They quickly flew to the spot where the calf was found, while the calf was being transported by local rangers in the back of a pick-up truck to meet the rescuers. The animal was weak - yet still alive. 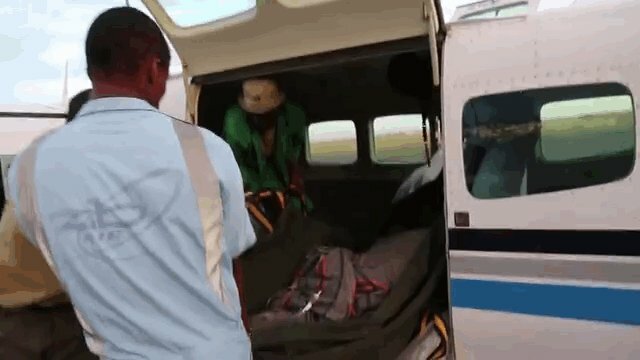 The calf, named Enkikwei after the area in which he was found, was loaded into the plane and flown to DSWT's sanctuary. He was taken on yet another pick-up truck to get there. Though he is without his mother, the calf is now doing much better at the sanctuary, where dozens of other calves are being prepared for eventual release into the wild. According to caretakers, he's found a friend, another rescued calf named Embu, who he sleeps next to at night. 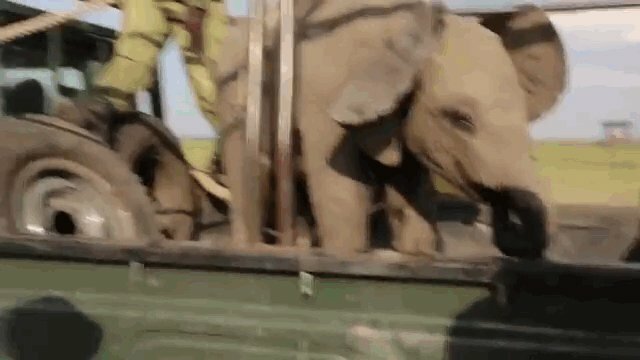 And, he's learning to use his trunk. While it's unclear how Enkikwei's mother died, many of the baby elephants at the sanctuary are there because their mothers were poached for their ivory. See this page for more information on the problems facing elephants, and how to support elephants like Enkikwei.